Home / Fitness & Sports / Weight Loss In Daily Life Activities? Weight Loss In Daily Life Activities? Simple walking to and fro can be considered a form of physical activity already. We can associate different forms of physical activities even though we are not at the gym nor at home working out. Our daily lives are a hustle and bustle since we are the new generation of people who are really busy with their lives in this modernized world. Busy but easier in terms of physical activities. Before, we send mails to the post office or in our mailboxes, now we just sit down and e-mail our mails. Before, we go to the library to get references and resources but now we sit down and Google it. There are a whole lot of other before and now examples.Some want to do Yoga for Beginners in Sydney as part of their exercise and it helps them a lot. While others tend to jog before their working hours. This way they stay healthy but if you are one of those persons who have no time for exercising try these different ways to get you that working movement in your body.Let’s focus on the present. 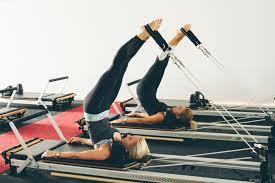 If you don’t like to do reformer pilates. Associating daily life activities as an informal way of exercising is great, if we get used to it and don’t set it in our minds that even these daily chores are a form of exercise, this could be a lifelong intervention! According to Summerfield and Ellis, NEAT (no exercise activity thermo genesis) was being studied by scientists to explore the benefits of simply increasing daily energy expenditure in everyday activities. The following are examples of daily activities and their corresponding amount of energy used. Sweeping (15 mins) = 44 kcal*Walking (15 mins) = 70 kcal*Up and Down the Stairs (5 mins) = 20-25 kcal**these conversions are applicable to a 70-kg person’s daily routineAlong with that, there are more interventions that you may do. When you’re at home play with your children (if you have them), use the bathroom from another floor, walk around while talking on the phone and walk your dogs. While at work, walk on breaks, get off your transportation one stop early (of course if you ain’t late), deliver message in person than chatting or e-mailing and if your transportation is on your own account you may want to park farther away from your workplace than you usually do.These everyday activities help us engage in exercise, this may be a good start to love exercising. Just remember that these are not enough when you have a goal to attain. This only leads to small weight losses or even no weight loss but the good news is you won’t gain weight. Copyright © 2018, Crossfit-Independence. Proudly powered by WordPress. Blackoot design by Iceable Themes.